Lorna Bains in: "For Whom The Southern Belle Tolls"
Murder and Crime during the Great Depression never looked so good! 'For Whom the Southern Belle Tolls' is a Murder Mystery Adventure game starring sassy and mischievous protagonist Lorna Bains, as she solves the mystery of who killed the local cafe owner Eddie Paparelli and who might be interested in knowing this to get a little more money on the side! 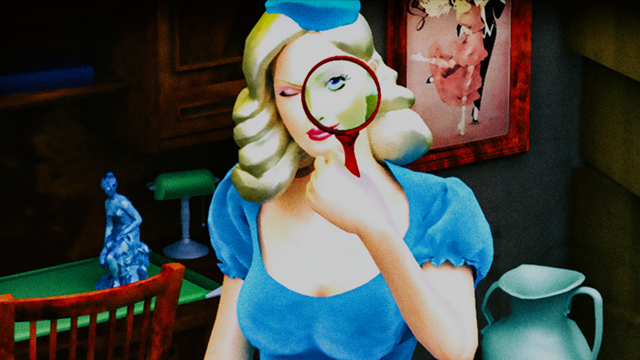 Blending classic adventure with elements of the hidden object genre with a focus on observation and comprehension, 'For Whom the Southern Belle Tolls' is the first game of a comedy crime anthology.